Your starter kit has everything you will need for a perfect colour gel manicure. Have no fears of smudges, nicks or dings. 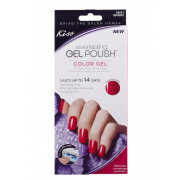 Kiss everlasting gel polish applies like polish and dries instantly, under the kiss Pro Led Gel Lamp. 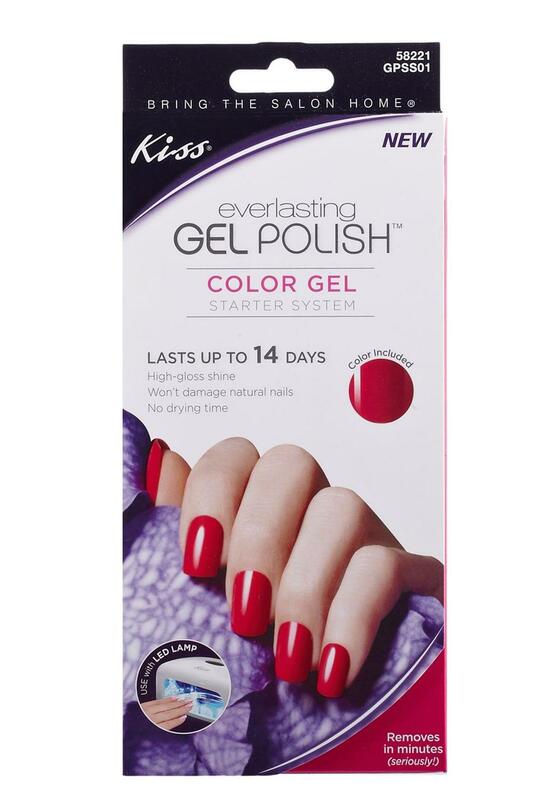 This gel polish formula leaves nails looking perfect for up to 14 days. Can also be used on toes for a perfect pedicure. Includes: Lush Colour Gel, Base Gel, Top Gel, Gel Cleanser, 25 Lint Free Wipes, Buff Block, Manicure Stick, Mini File, Instruction Sheet.